Today I have the gorgeous Aspley Collection by Petal Polish. Petal Polish is a Brisbane based indie polish maker. 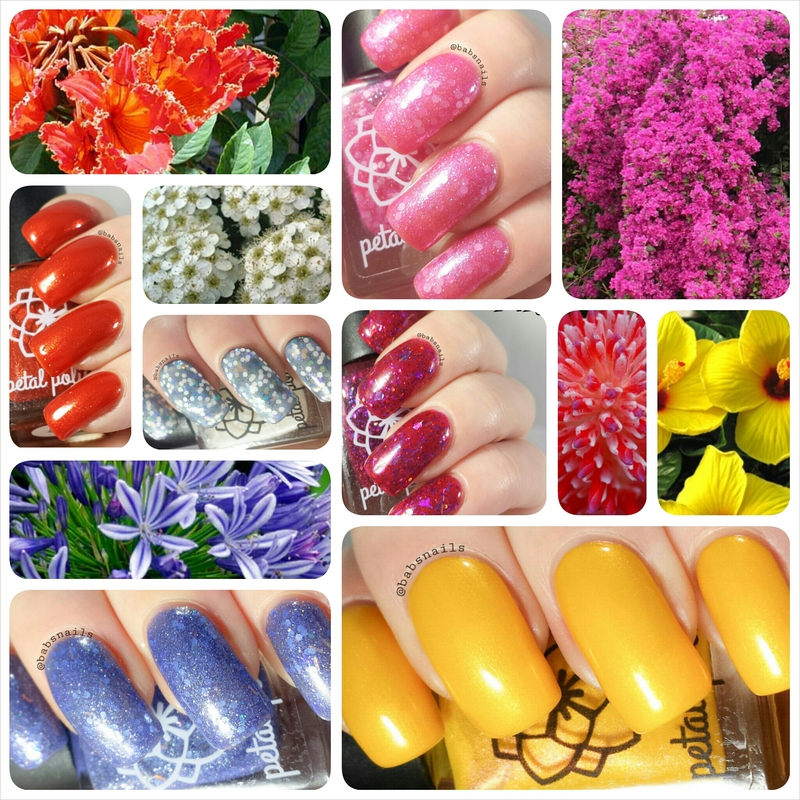 Her polish creations are based on flowers, which make for some absolutely stunning colours. This collection is based on flowers found in her neighborhood. Look what I have today! 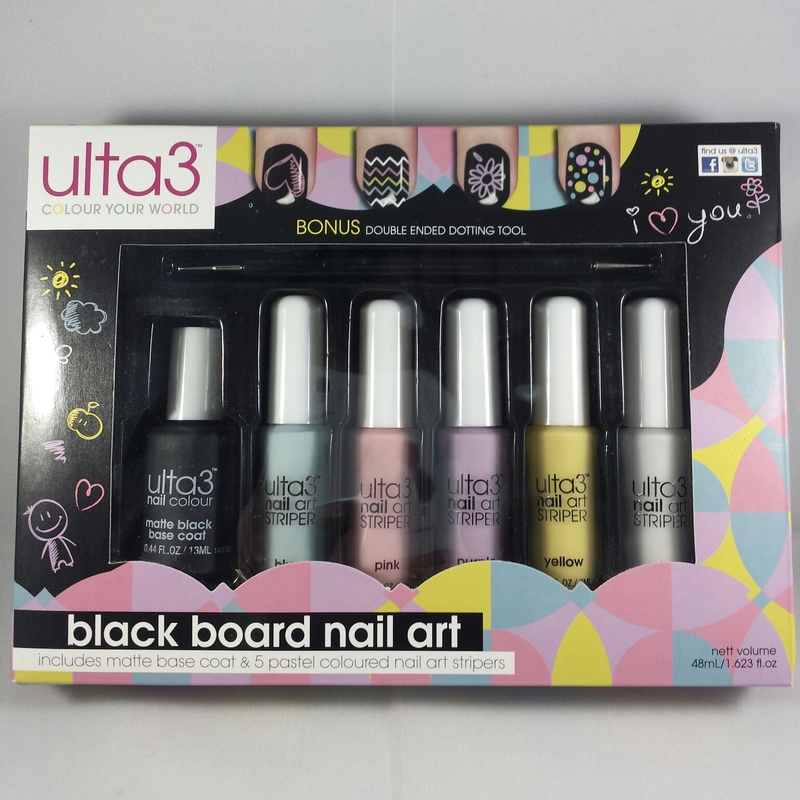 I was very excited to receive the Ulta3 black board nails kit to review. I have been wanting this product ever since I heard whispers of it. The Ulta3 Black Board Nail Art Pack includes, a black matte base coat, 5 pastel, chalk coloured nail art stripers & a bonus double ended dotting tool. 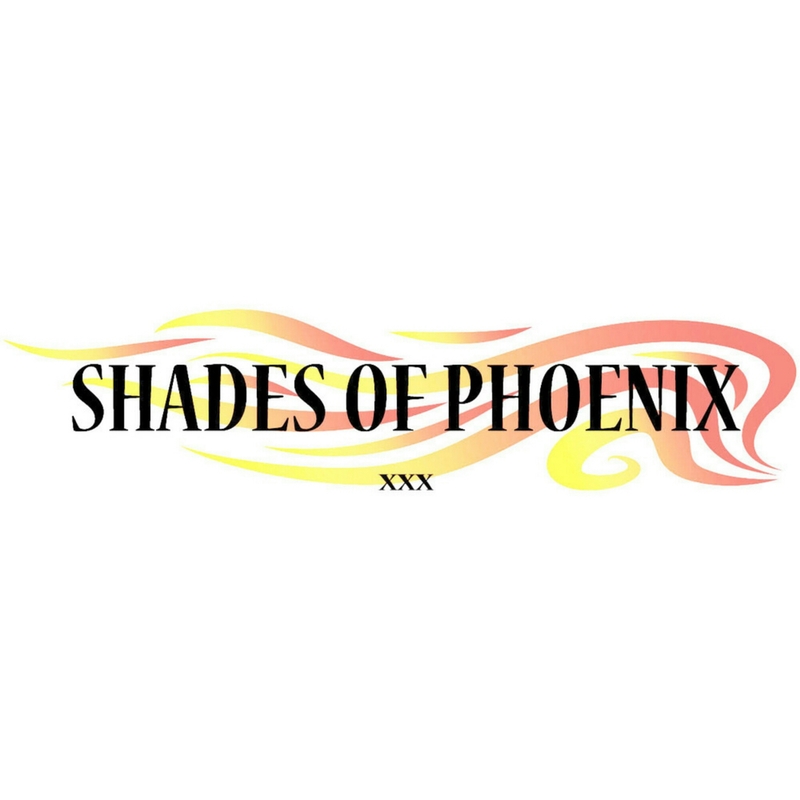 Shades Of Phoenix – Hades, Poseidon & Dionysus. 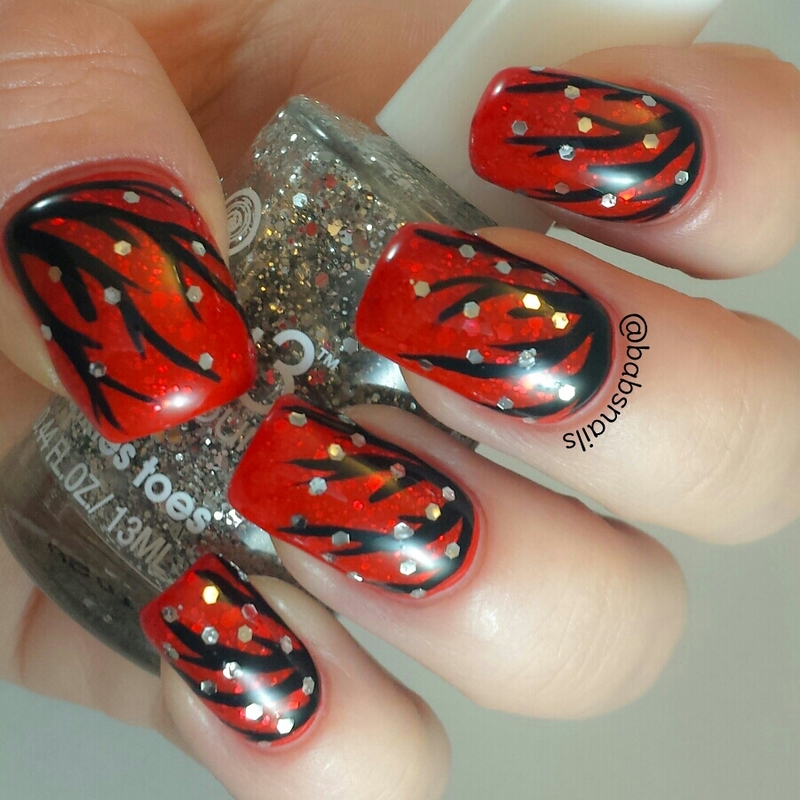 I am very excited to show you guys these polishes today, they are my very first Shades Of Phoenix and I am quite impressed! 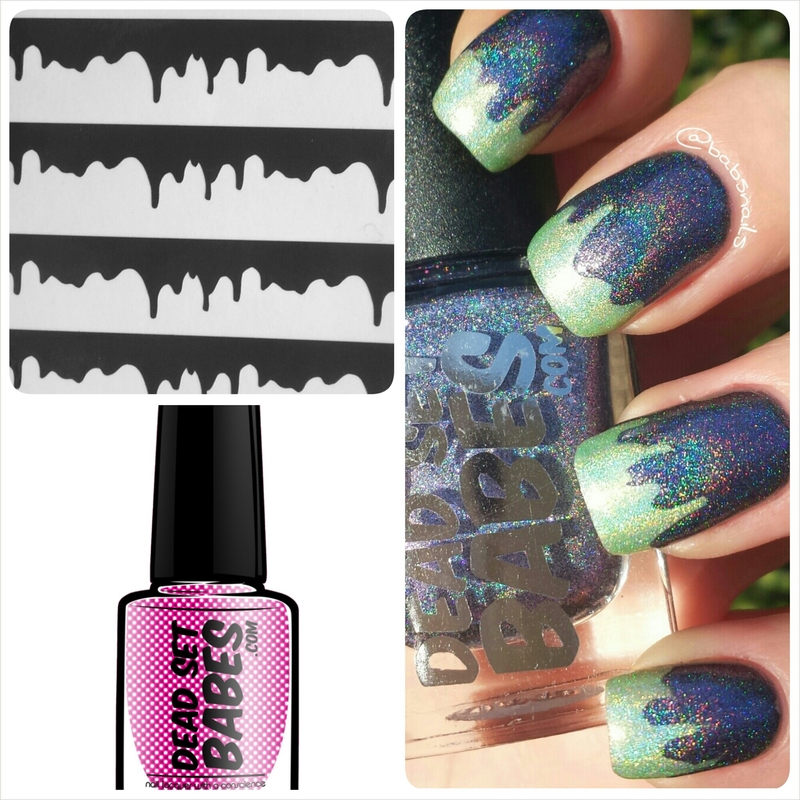 These three polishes were inspired by the Gods of Olympus. Hades – King of the underworld, God of the Dead and Riches. Poseidon – God of the sea, earthquakes, storms, and horses. Dionysus – God of the grape harvest, winemaking and wine, of ritual madness and religious ecstasy. 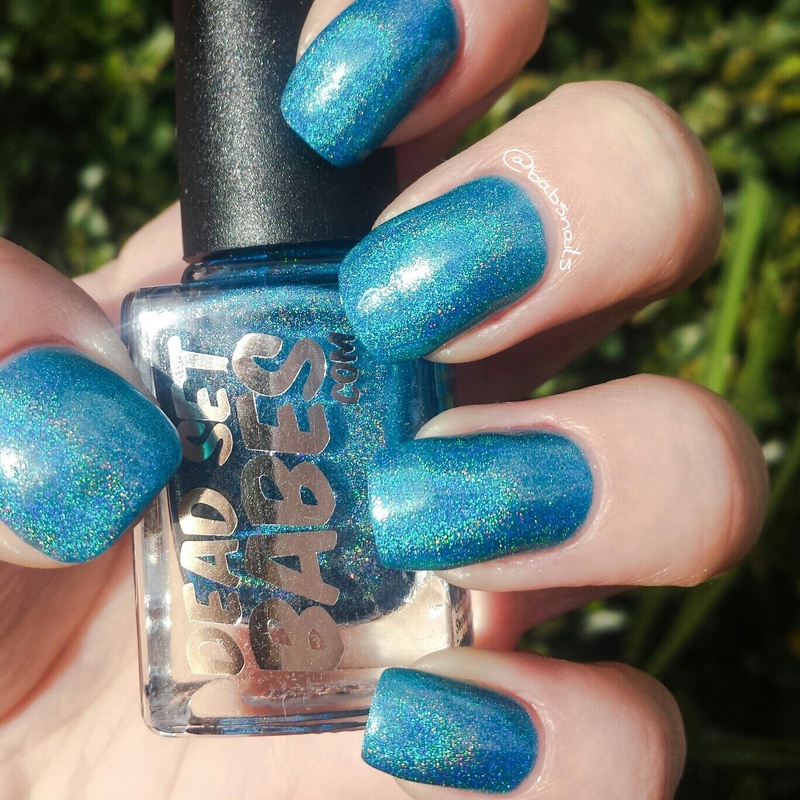 Dead Set Babes are an indie polish company based in Australia. 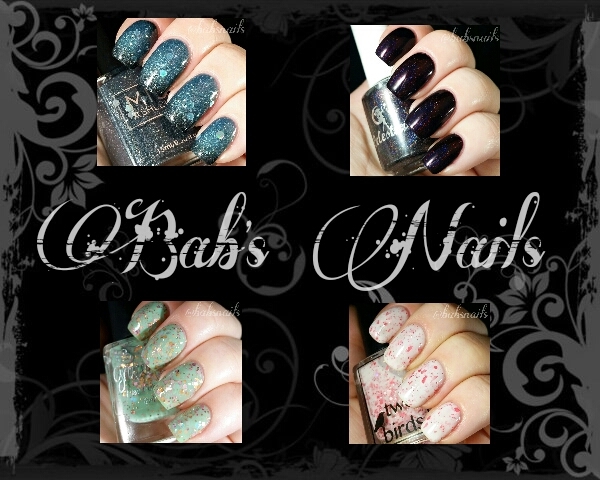 They create absolutely beautiful, high quality, hand-made polishes, nail care items and decals. Back in may when I received these polishes I was not yet blogging so I thought it would be nice to do a special post for them now. 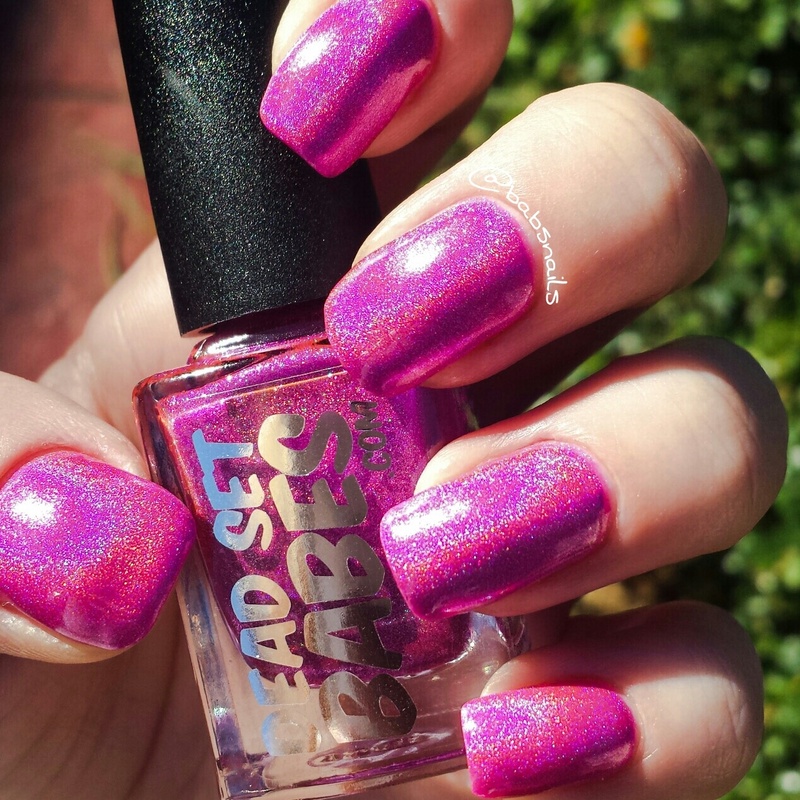 The Cult Cliques Collection was inspired by 3 movies, Mean girls, Heathers & Jaw Breaker. So Fetch!, Burn Book, You Can’t Sit With Us and On Wednesdays We Wear Pink. Corn Nuts, Lick It Up Baby, Lick It Up and Liquid Draino. I Killed The Teen Dream, My Vylette, Learn It Live It Love It and The Cat’s Meow. 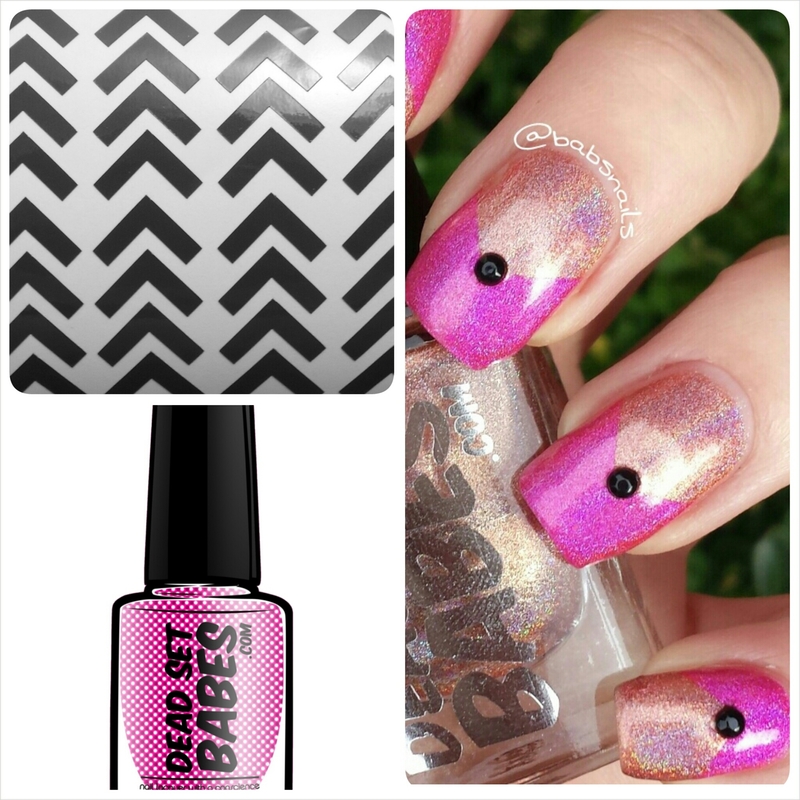 This collection is filled with beautiful coloured holographic polishes that are absolutely eye-catching! Today I have 5 swatches to show you. The first two are from the “Mean Girls” set. This is 3 coats but it was almost opaque with just one! A wonderful bright blue holo. This is 3 coats but again it was almost opaque with just one! The next three are from the “Jawbreaker” set. 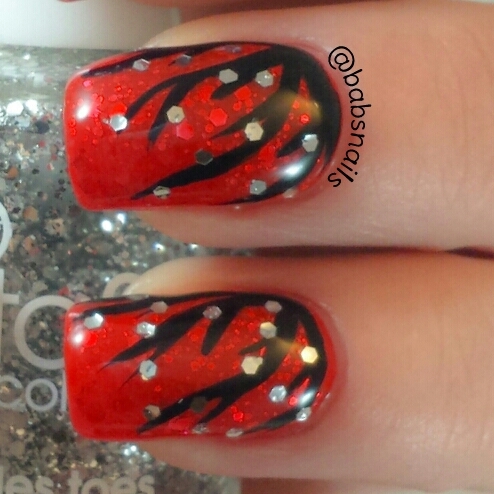 A striking red holo. So, so beautiful. I can see myself wearing this again and again! 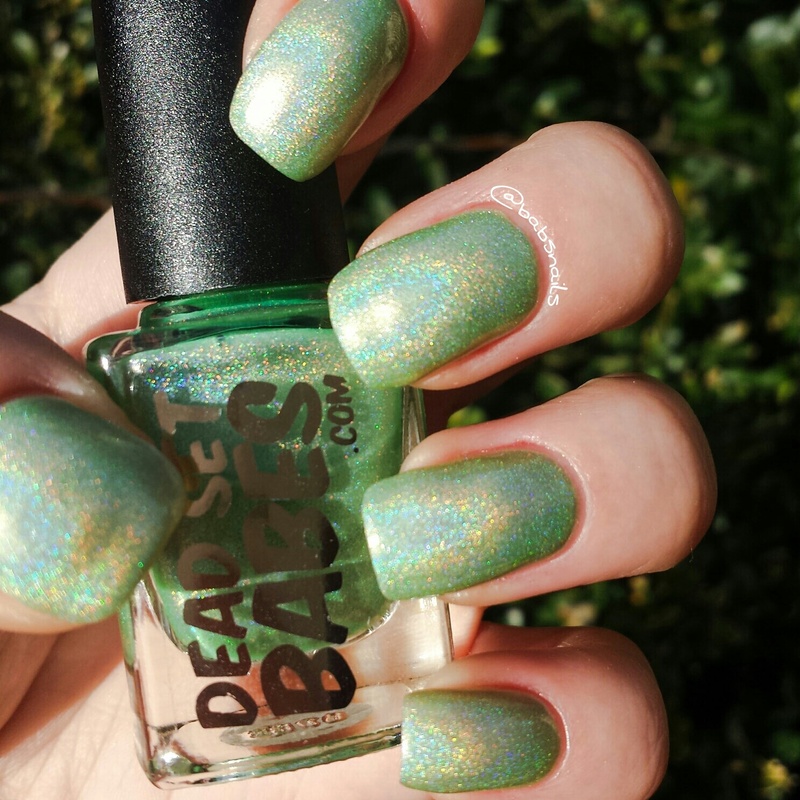 A unique and beautiful pale green holo. 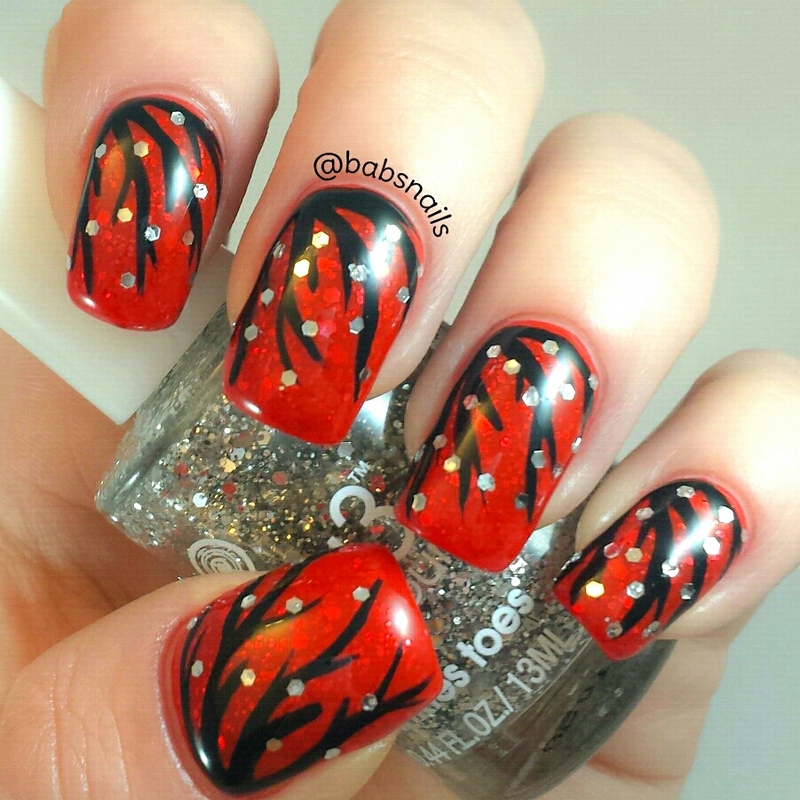 This is 3 coats but 2 would have been just fine! I really love this colour! It’s so different and pretty! 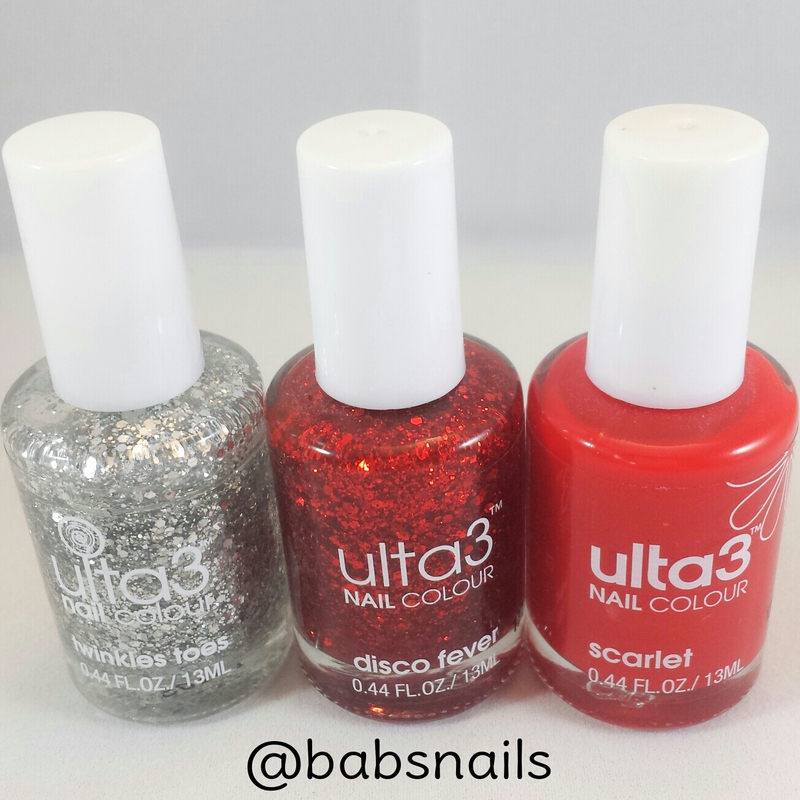 Now lets talk about the brilliant formula of these polishes. I’m going to say that these polishes have the best formula I have ever used. They glide on so perfectly and coverage is outstanding! 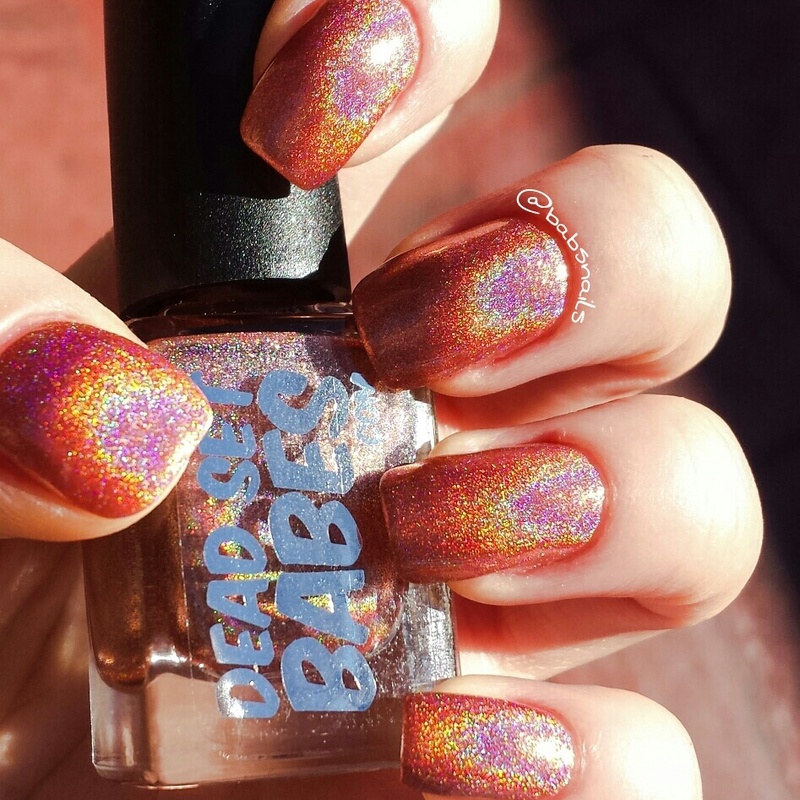 I always look forward to wearing Dead set babes because I know how fun it is to apply and I love the perfect results! 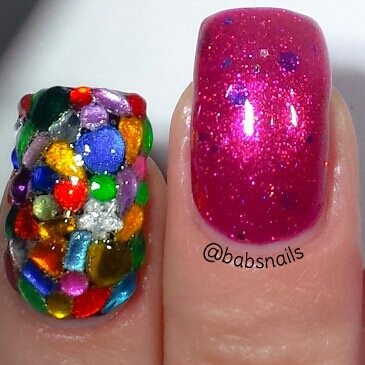 Here are some nail art looks using them. Dead Set Decals – Dripping decal. Strange Magic & Learn it, Live it, Love it. Dead Set Decals – Polish bottles. I Killed The Teen Dream & So Fetch! 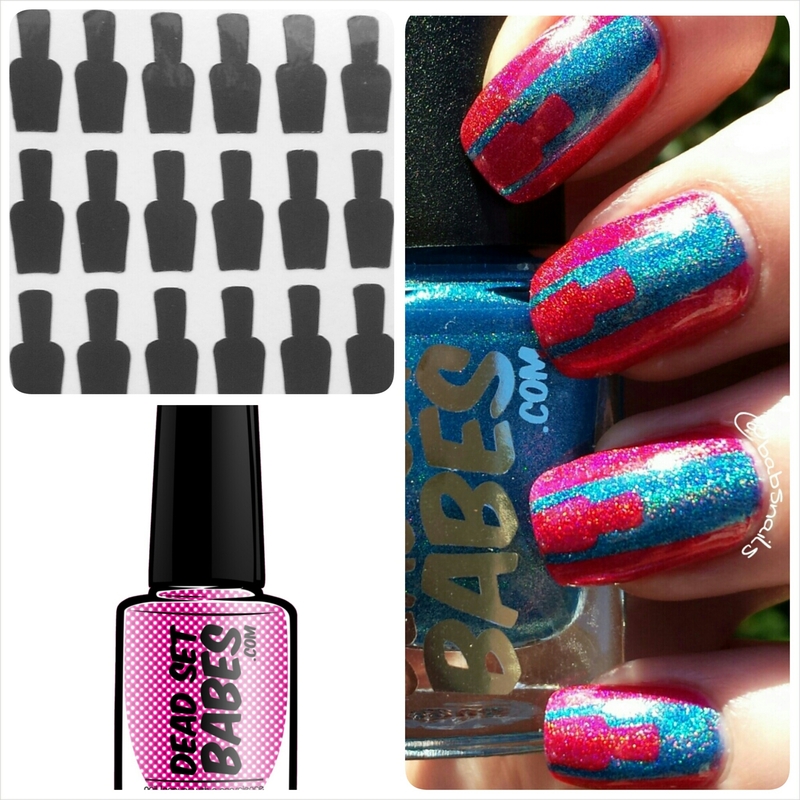 I am absolutely flawed with the quality of Dead Set Babes products. 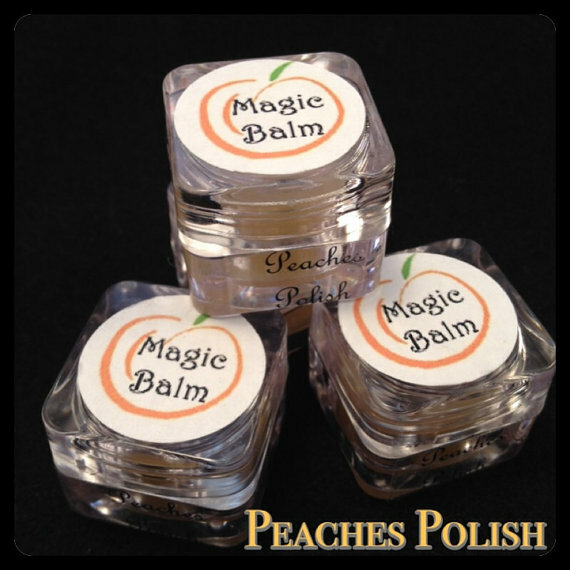 Peaches Polish is a hand blended, cruelty free & 5 free australian indie nail polish maker. Magic Balm is not just for your cuticles. This balm can be used for lips, feet and any other dry skin spots you may have. For this review I will be focusing on cuticle use. The balms are 100% natural and come in small tubs with a little going a long way and for $3.50 you can’t go past it. It is a thick coconut scented balm. You can use just a little and massage it in or you can apply it liberally before bed each night as I do. I have been using this balm for a couple of weeks now and I’m very impressed with the results. My skin is naturally dry and with it being winter at the moment it is even more so. After using the balm nightly my cuticles are now soft with no flaky dry bits and no hang nails. No more yucky winter cuticles! I will continue to use this product for as long as it is available! 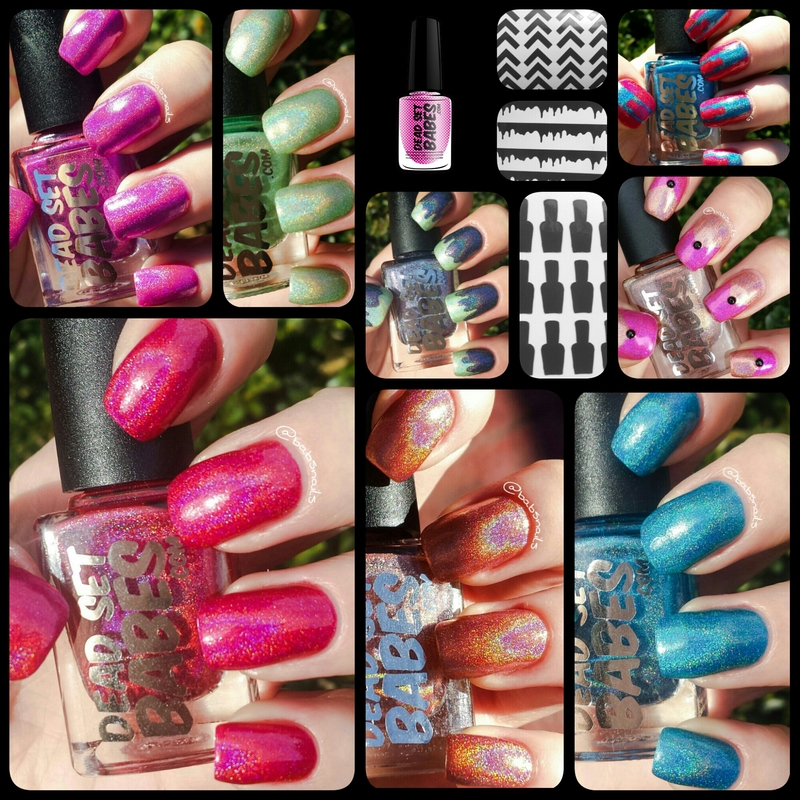 Blue bird nails is a Sydney based, Australian owned and made indie polish company. This was my first ever indie polish. I entered a giveaway on IG and was so stocked to have won 3rd place and my first indie. 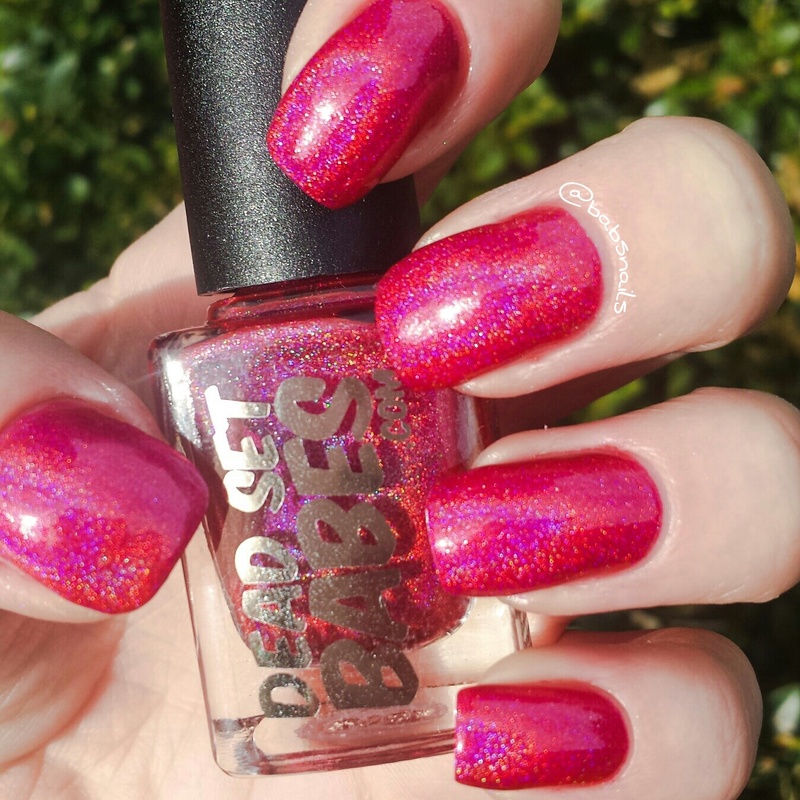 Romanian Princess is a raspberry jelly base full of gorgeous micro glitter. It also has big and small assorted colour glitters throughout. In these swatches I have two coats plus a topcoat. Application was nice and easy. 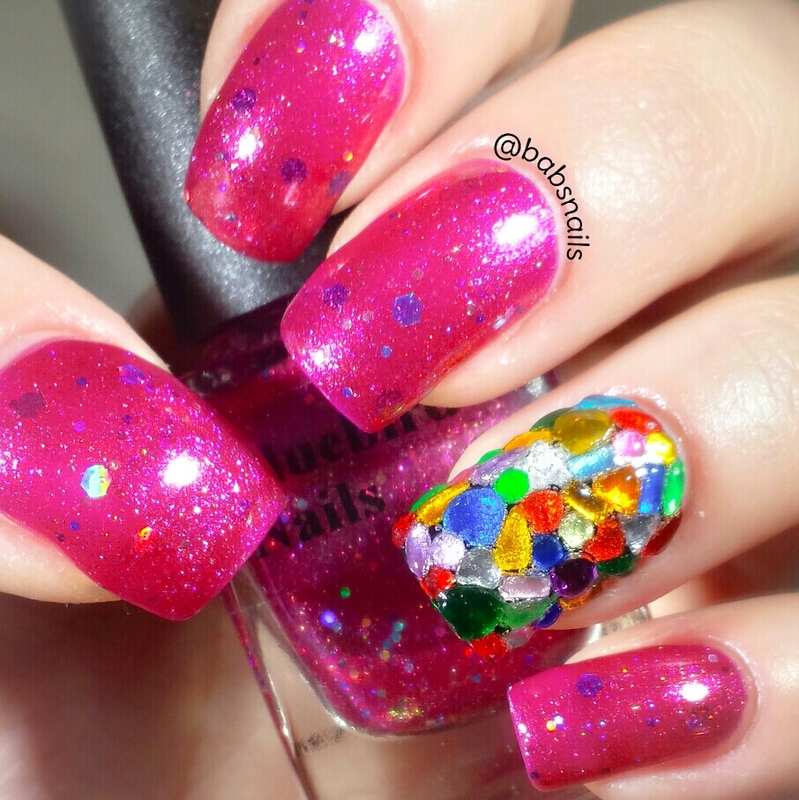 No fishing was needed, the glitters came easily and placed themselves on the nail nicely. 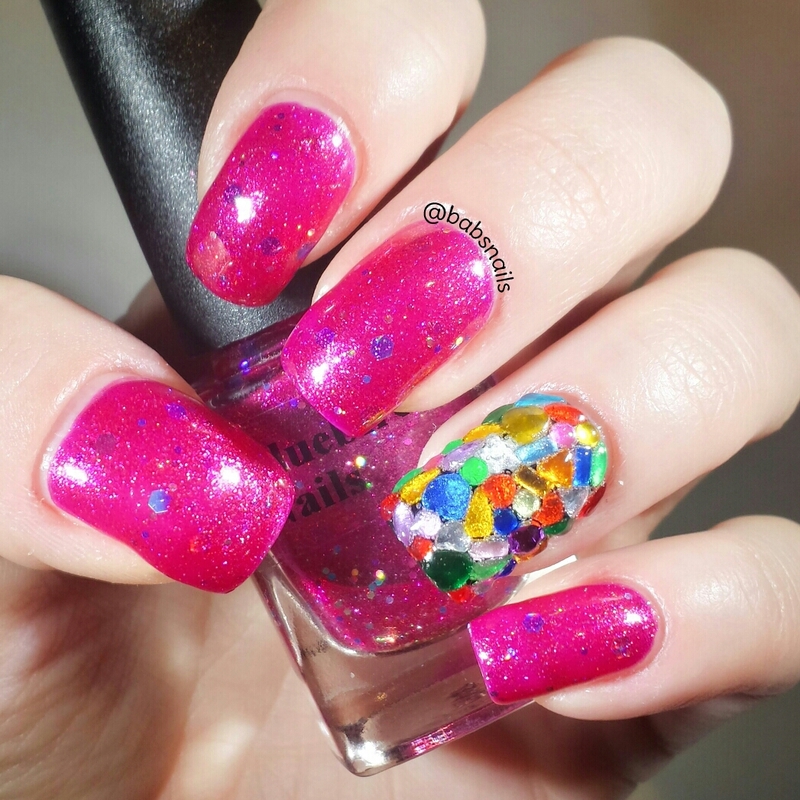 For my accent nail I decided to pack it with lots of little colourful assorted gems. It was a bit of fun and something different. I haven’t done many jelly sandwiches during my nail art journey, I don’t know why because I absolutely love the look of them! What is a jelly sandwich you ask? 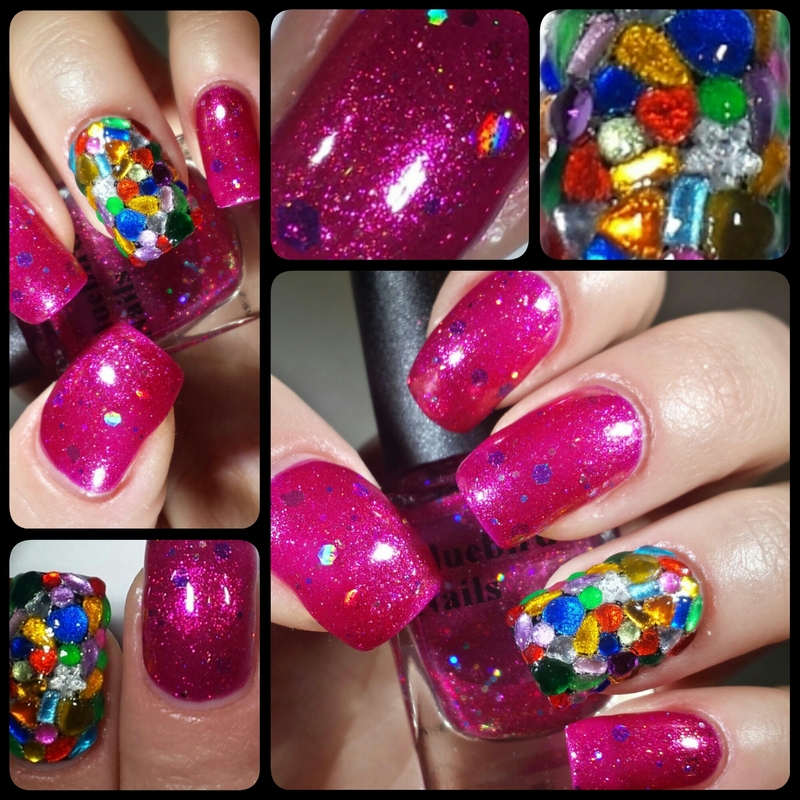 It is glitter polish ‘sandwiched’ between layers of a see through/jelly polish. Usually two colour coats for the base, glitter for the filling and another colour coat for the top. I started off as I always do with G&G Stuck On Blu! as my base. I then added one more layer of Ulta3 Scarlet for the top of the sandwich. I love the depth you get using this technique. Once the polish had dried a little I topped it off with a coat of G&G HK Girl Topcoat. 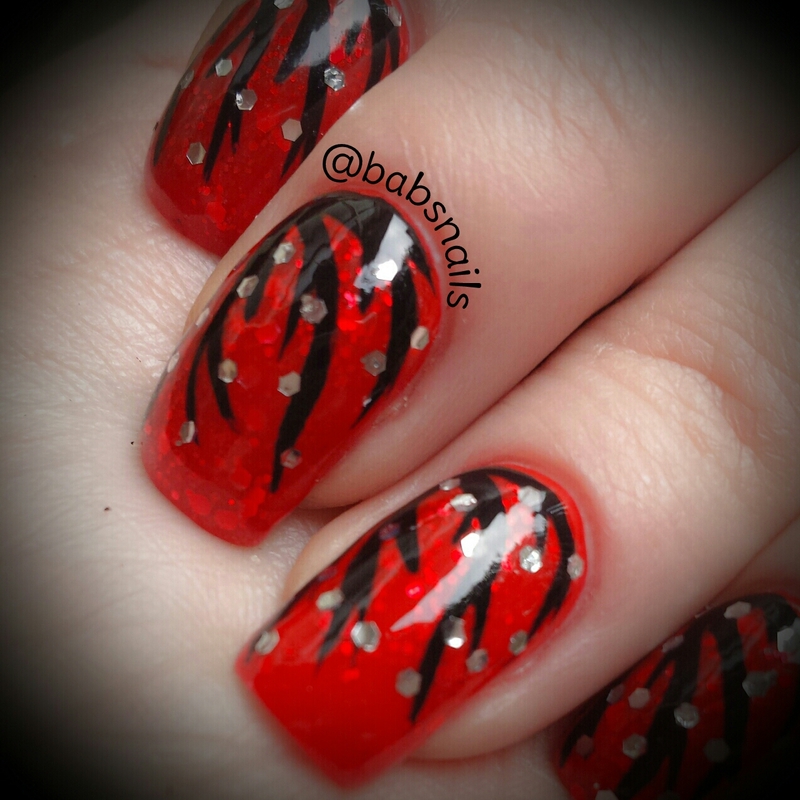 To add the final touches I used the Ulta3 Nail Art Striper in Black Satin to draw a random design then placed some small silver hexagon glitters for some extra bling!